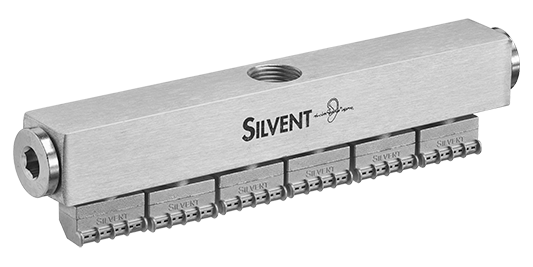 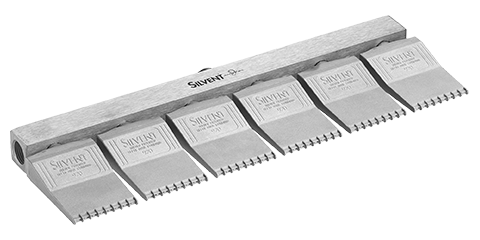 SILVENT 378: robust stainless steel air knife with eight 973 nozzles and a specially designed manifold. 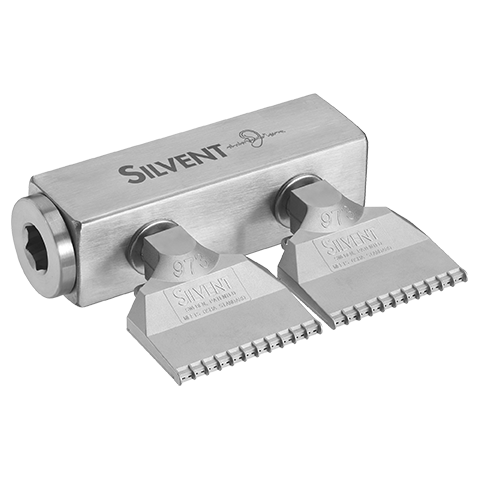 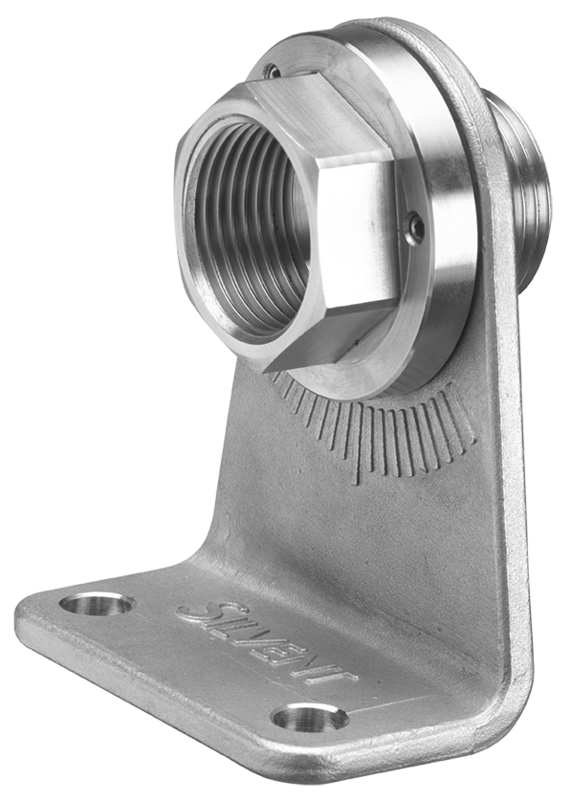 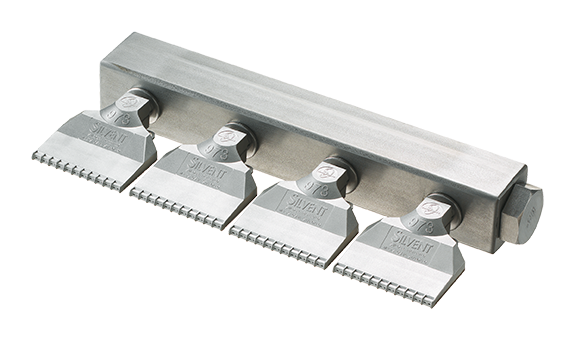 Made entirely of stainless steel and thereby suitable for even the most demanding applications, such as those involving aggressive chemical environments, high ambient temperatures or the stringent requirements of the food processing industry. 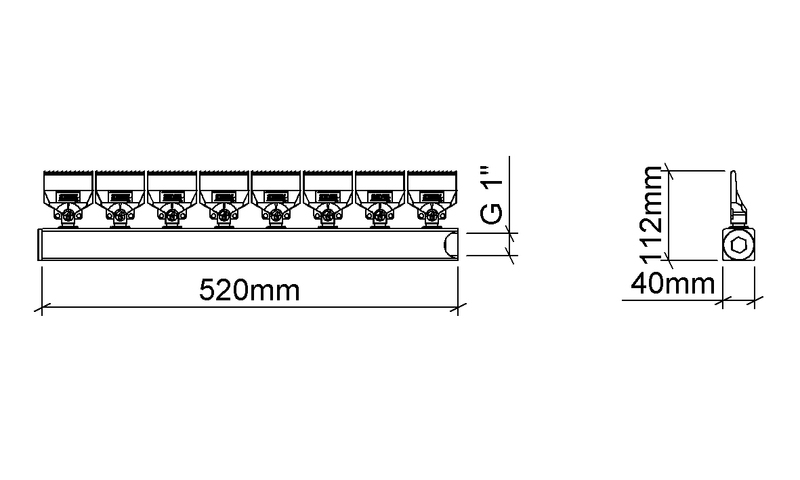 Creates a cone spread of 595 mm (23.43") at a distance of 150 mm (6"). 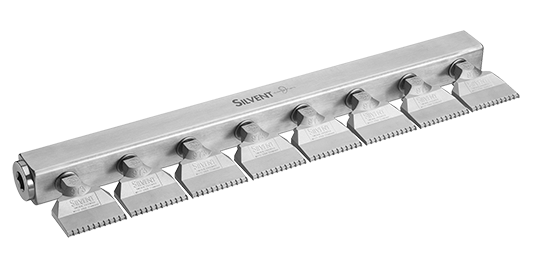 Blowing force = 76.0 N (16.8 lbs).